¡Hola amigos! Ever wanted to learn Spanish, make new friends and find out more about a fascinating culture? Spanish learners and speakers of all ages and abilities are welcome to join us at a free fun Spanish Tutor meet up event in DC! ¡Welcome and bienvenido! Want to know the secret to learning another language and having fun at the same time? It’s easy, you just need to find people that you enjoy practicing with! 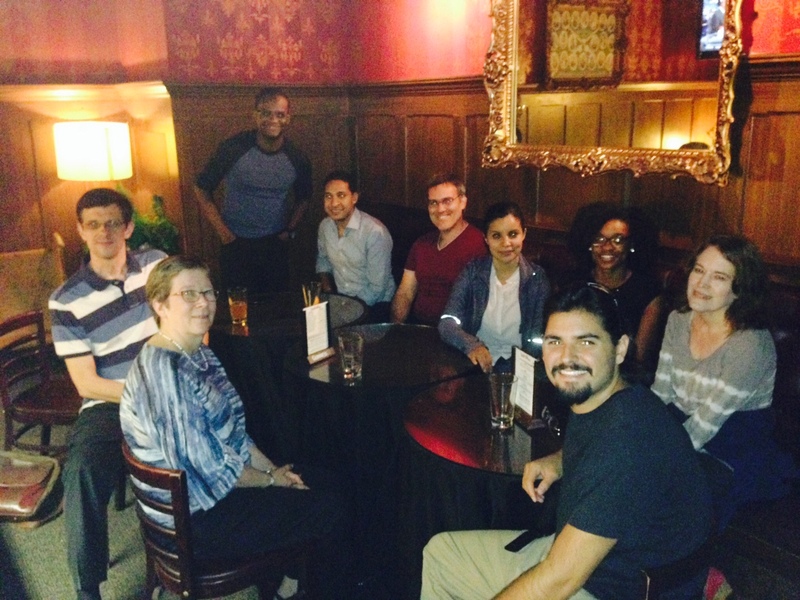 Meetup and learn Spanish is a learning-positive environment for all abilities and ages. You can meet native Spanish speakers, learn from experienced tutors, and practice with other language students. Whether you’re looking for a cultural exchange, conversation practice, brushing up on your Spanish skills or just getting started, our meetup group is the perfect place for you! We plan to run a whole series of interesting events, including coffee and cake sessions, picnics, barbeques, tapas, Spanish book clubs, movie nights, cultural events, meet and greets, grammar workshops, dinners, dancing and more. Our events are an excellent way to improve your Spanish, connect with like-minded locals and have a great time. Join our group to receive the newsletter and stay up-to-date with all these excellent opportunities to practice your Spanish and make new friends. Meetup and Learn Spanish is sponsored by Spanish Tutor DC. We offer top-quality Spanish lessons to suit all needs, goals and budgets. We look forward to seeing you at one of our events. We request that new members please provide a photo when they join up, so that we can recognise you when you come along. ¡Muchas gracias & nos vemos! Want to see more? Our photo album gives you a taste of what to expect from our group! Have any questions? Find out more about us. What dates are you free? Our full calendar is available here. Do you want to take formal classes too? We have a wide range of options available. Want to bring a friend along with you? You are welcome to invite them too! Join our group for free today, and start improving your language skills with Meetup and Learn Spanish in DC.